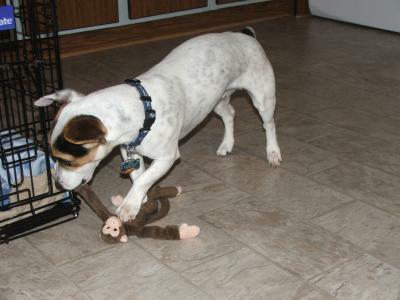 My JRT, Ryder just loved this little monkey. It screeched like a monkey when it was shaken. He went through a few of these things, he lost interest once they didn't make noise anymore. Here is a picture of him just monkeying around!